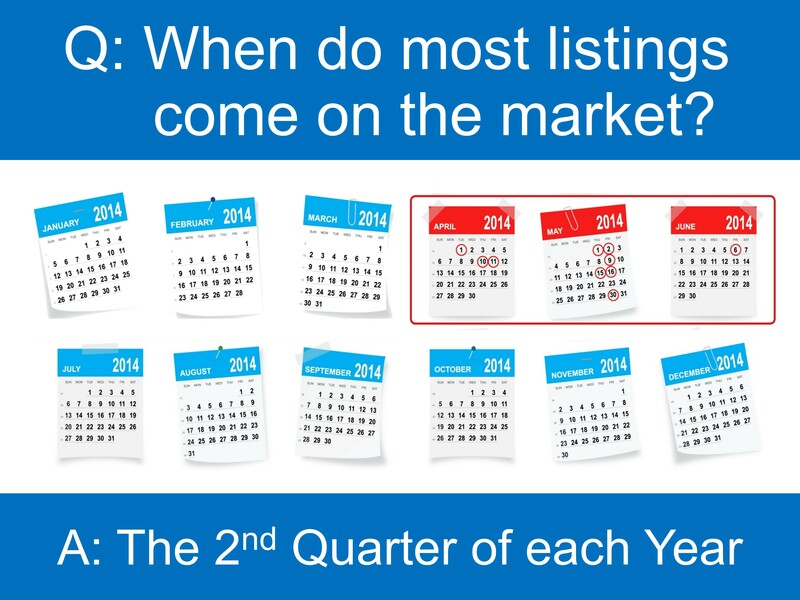 Get ahead of the competition – now may be the perfect time to cinsider selling your home. With the holiday season of giving just around the corner, it’s a good time to revisit down payment gifts for home buyers. Getting money for a down payment on a home purchase could be the best gift ever, but there are lender and IRS rules for gifts that you must know to make sure everything goes smoothly. Here’s a rundown. As an overarching rule, mortgage lenders require gifts for down payments to be from family members. Lenders might make case-by-case exceptions, and if so, will require that the relationship of the non-relative and the other factors of the loan profile be strongly compelling. For example, if you were receiving down payment gift funds from your godparents and could document that they’ve been close to you and your family all your life, that might be a case certain lenders would accept. The likelihood of a non-relative being accepted as a gift donor is greater if a lender intends to keep that loan on its balance sheet rather than sell to Fannie Mae, Freddie Mac or some other future investor after the loan closes. Even then, most lenders would still want to see strong income history and career trajectory as well as top-tier credit scores for you as a borrower (these stronger factors of an overall profile that offset a factor where an exception is being made are known as “compensating factors”). When starting the gift conversation with family members, make sure they know that gift tax implications are imposed on the donor. Conversely, you don’t have tax implications for receiving the gift. Two main provisions of gift tax law impact donors, and if handled properly, can enable the donor to have no tax liability, even for large gifts. 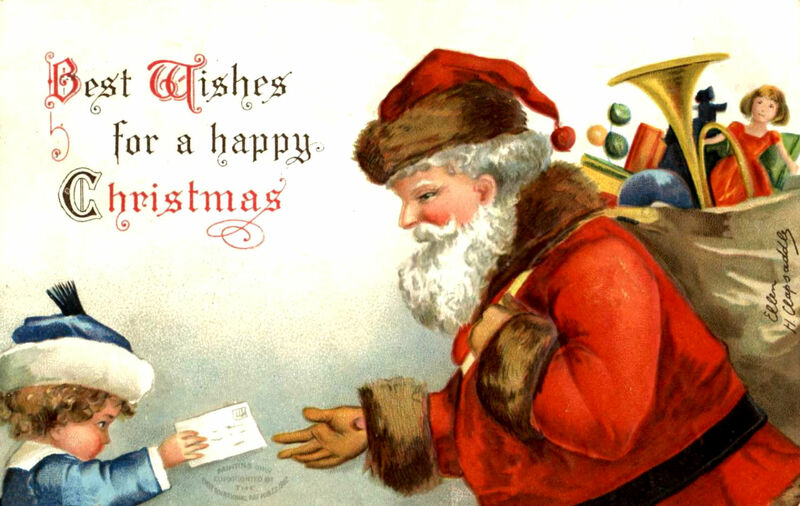 First, under 2014 annual gift tax exclusion law, any individual can gift any other individual $14,000 per year tax free. So a married set of parents can each give $14,000 to their single child for a total of $28,000. Or that same set of parents could gift to a married couple a total of $56,000. This doesn’t need to be filed on annual tax returns, but you need to make sure it’s easy to document gift tax compliance later if needed. The clearest way to handle the $56,000 example is to have the mom write two $14,000 checks: one to her son and one to her daughter-in-law. Then the dad would do the exact same thing, for a total of four checks of $14,000 each. Then if the parents were ever asked by the IRS to demonstrate they were within the 2014 annual exclusion limit, it would be easy. Second, under 2014 lifetime gift tax exclusion law, any individual can gift up to $5.34 million tax free over a lifetime. So let’s say in the example above that the married set of parents were trying to gift their married son a total of $100,000. We know that they can gift $56,000 tax free under the annual exclusion rule. The remaining $44,000 can be gifted tax free under the lifetime exclusion rule. That amount can all be transferred in a lump sum, and the donors must complete IRS Form 709 to keep a tally of gift funds that fall under the lifetime exclusion. Also for home buyers looking to buy in early 2015 with gift funds, keep in mind that as we close out 2014 and enter 2015, donors can give you funds under the 2014 annual exclusion on or before Dec. 31, then double it under the 2015 annual exclusion on Jan. 1 or later. It’s not enough to tell your lender you’ll be getting gift funds from a family member. Lenders must track gift funds as painstakingly as they track all your other asset and income documentation. 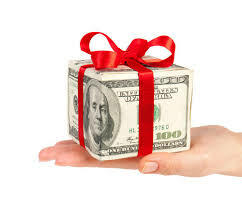 You and the donor must both sign a lender Gift Letter verifying the funds are in fact a gift. The letter will explicitly ask the donor to verify that the gift isn’t a loan. Neither you nor the donor writes the letter. The letter will be provided by your lender, and it’s the only format that the lender will accept. For most loans, donors must also provide proof of their ability to gift, usually in the form of a bank statement. There are very few exceptions, and your lender can advise on whether it will waive the requirement. As long as donors know these lender and tax rules upfront, the process is simple. So as we enter the season of gift giving, you can use these guidelines to have planning discussions with your family. Design has gone to the dogs. It's true. Some of today's pet accommodations rival the finest custom homes in terms of space, design, style, and materials. "Many of them have carpeting, heating and air-conditioning, indoor and outdoor lighting, elaborate music and entertainment systems," said the New York Times. "Some are even eco-friendly, with solar panels or planted green roofs. In fact, the only superfluous accessory in the modern doghouse may be the dog." And the prices are nothing to turn a snout up either. Even Walmart, who, of course, prides itself on its low prices, has gotten in on this trend. They offer the Victorian Cottage Kennel Dog House for $4,400 and the Cape Cod Cozy Cottage Kennel Dog House for $4,600. Of course, these are a bargain in comparison to some of the more decadent dog digs out there. Rockstar Puppy's custom doghouse start at $6,000 and range up to $20,000. Custom doghouse company La Petite Maisoncreates versions that are upwards of $25,000. "For the supermodel Rachel Hunter's showpiece doghouse in the Los Angeles area…hand-painted wallcovering dotted with pawprints and bones, as well as framed pictures of dogs" were included at a cost of more than $16,000," said the New York Times. But nothing beats this Mediterranean doghouse. This mini-version of its owner's home is a two-story house with "a Juliet balcony, clay tile roof, copper gutters, and custom light fixtures," said The Barkpost. The owner: Paris Hilton. The cost: $325,000. Mediterranean not your style? This "Swiss Chalet-style doghouse has a storybook quality," said Bob Vila. A Juliet balcony with decorative railings and matching plant boxes on the lower level allows this house to tie into the surrounding landscaping." Have a dog who loves water? Why not give him his own pool? This "beautiful ranch style dog home made of real, high-quality lumber and stone siding" includes "a private doggie pool for summertime lounging," said the Barkpost. Ready to pamper your pooch? The only limitations are your imagination – and your bank account. Check out the Barkpost for more outrageous dog houses including a Frank Lloyd-inspired structure with plans created by the master himself—a doghouse they cleverly refer to as the "finest example of Prairie School of Barkitecture in existence." And check out House Beautiful for luxury furniture for other pet members of the household, including this designer fish tank and this $700 Deluxe Lighthouse Cat Tower, "a six-foot-tall and four-foot-wide kitty tower" that offers deluxe accommodations "for the cat who adores colonial style and the sea." How much housing you can buy with a million dollars very much depends on what city you are looking to buy in. According to Knight Frank data cited by CNBC's Robert Frank, a million dollars goes a lot further in Cape Town than it would in Monaco. With a median list price of $666 per square foot, San Francisco's real estate boom limits a million dollars to buying about 1,500 square feet. On the other end of the spectrum, the median list price in beleaguered Detroit is just $12 per square foot — 55 times cheaper than in San Francisco. Considering all five boroughs, the median price per square foot in New York City is $424. Looking just at Manhattan however, that price jumps to an astronomical $1,538 per square foot, leading to $1,000,000 buying just 650 square feet. The Windermere Foundation is now accepting donations for the Oso, Washington Relief Fund. We are deeply saddened by the events that have unfolded over the last week due to the landslide in Oso, Washington. We have heard from many of you who wish to support and provide emergency relief for those that have lost their homes and loved ones. 100% of the funds designated to the Windermere Foundation's Oso, Washington Relief Fund will go directly to the families affected by the slide, through the Darrington Emergency Task Force for immediate assistance. You can donate online at https://store.windermere.com/content/foundation-donation. The Windermere Foundation will match the first $5,000 donated. A special thanks to the Windermere office in nearby Arlington, owned by Gene Bryson, for raising awareness and starting the fundraising effort. Our hearts go out to all the families affected by this disaster. Wishing you, your friends and family a very Merry Christmas! Need to give something new life on a budget? Do it with paint! Follow this guide for adding a fresh coat of paint to almost any material. Wipe off dirt and grime with a wet cloth; let dry. Sand as needed. Fill holes with wood putty, let dry, then sand until smooth and wipe clean. Prime, then let dry. Sand and apply two coats of paint to add durability. To get smooth results when painting flat wood surfaces, lots of pros swear by a small paint roller. Do a light sand between coats once the first coat dries and wipe clean with a dry cloth. Wash fabric, if possible, without adding fabric softener. Cover your work surface, such as an ironing board or old towel, with plastic. Stretch and pin fabric tight to the surface. To lay out your template or pattern, use painter's tape. Paint the fabric using a small brush, foam brush, or stamp. Iron the fabric before painting. If you have scraps, first test your techniques and colors to ensure quality. For pillow covers, cut a cardboard insert and put it inside to keep paint from bleeding through. Apply according to directions. Printable wallpaper (#350745) doesn't need to be primed — it's ready to go. Apply paint using a roller. If painting a wall, use a small paintbrush or edger to get into the corners and edges. Let the first coat dry for 4 hours. Allow the second coat to dry for 30 minutes before lifting off the painter's tape. Paintable wallpaper is great to use on walls or ceilings that are less than perfect. It hides lots of flaws and comes in architectural designs and great patterns, such as beadboard. Wash in soapy water and then let air dry — using a towel or other material to dry can leave lint on the piece. Put on rubber gloves. Apply spray primer using a light back-and-forth motion about 1 foot from the object. Make sure all surfaces are painted; let dry. Then spray the desired color repeating the same technique. Go slow and apply light coats when spraying. If you spray too fast — or get too close — drips and runs will occur. Use paint pyramids (#232223) to keep projects from sticking to the prep area. If old and painted, first wipe surfaces with a damp rag. Then use the upholstery tool to vacuum wicker or wovens. A stiff brush can do the trick as well. Dab paint on the woven strands of a basket to stripe them. On pre-painted wicker, spray with primer and let dry; then apply spray paint. Repeat with a second coat if needed. Woven baskets can be spray-painted if you want a solid color all over. Use a wire brush to remove loose paint. Wipe with a damp cloth and dry immediately. If rust is present, spot-prime with a rust-inhibitive primer. Items like the bowl above may not need any surface prep. Put on rubber gloves. Apply primer using a light back-and-forth motion. Make sure all surfaces are covered. Let dry, then spray the desired color using a light, sweeping motion. Valspar spray paint has new easy-spray technology and a redesigned spray head that's cleaner and easier to use than those found on other brands. Use paint pyramids to keep projects from sticking to the prep area. October is a month filled with simple pleasures: cooler temperatures, yard sales, leaf peeping, apple picking and every kid’s favorite holiday, Halloween. But, it’s also the time to tackle some fall home maintenance to make sure you — and your home — are prepared for the months ahead. While the weather is still pleasant, check the foundation for cracks, and caulk around the areas where masonry meets siding, where pipes or wires enter the house, and around the windows and door frames to prevent heat from escaping (and humidity and moisture from entering). Next, take a look at the roof. Check for any loose, curled, or missing shingles because ice, rain, snow and wind, as well as rapidly changing temperatures and humidity, will only make problems worse. And, while you’re checking your roof, be sure to clean out the gutters and downspouts. Flush them with water, inspect joints and tighten brackets if necessary. Remember: Clogged gutters are one of the major causes of ice dams. Lastly, check for any signs of peeling, missing or blistering paint. Left uncorrected, peeling paint will cause the siding itself to deteriorate, leading to expensive repairs come spring. Inside, it’s important to do everything you can to make certain that your home is weathertight and your furnace is operating at peak performance, particularly because the cost of heating accounts for nearly 50 percent of your home’s energy costs. Sealing drafts around windows and doors, and installing sufficient insulation — particularly in the attic, are two economical ways to keep your indoor temperatures and energy costs in line. Having your heating system checked by a licensed contractor is a smart fall habit, too. Heating systems, no matter the fuel, will work more efficiently, last longer and have fewer problems if properly serviced. At the very least, make certain to clean or replace filters. This is also a good time to seal your driveway, give your outdoor deck and patio some TLC and prepare your yard equipment for winter storage. 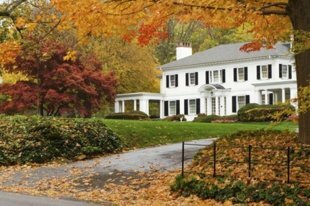 Click here for a complete fall home maintenance checklist. Although summer blooms have faded, there’s no reason not to have color throughout the fall. If you’re looking to plant something now, there are several options from pansies and mums to kale and ornamental grasses. Check with your local garden center or nursery to see which varieties are best for your region. If you have cool-season grass, an application of slow-release organic fertilizer will provide your lawn with the strength it needs to make it through winter. Yes, the weather has cooled and your grass is no longer suffering in the same way it did over the summer, but it still needs a good drink weekly to keep it moist. Keep mowing as well but lower the mowing height a bit — to about 2 inches — so you are cutting the grass a little shorter than usual. Do this until you notice growth has stopped, and the lawn has reached dormancy. Although some projects require a certain level of skill and expertise, many do not. If you have basic skills, some tool know-how and the ability to follow instructions, there are plenty of things you can do to improve both the look and comfort of your home this weekend. Whether it’s easy ways to boost your home’s curb appeal or simple ways to transform a piece of furniture, build a bookcase, enhance a hall/entryway or create clever kids’ room storage — you can find DIY weekend inspiration here. Be sure to check back every Friday, when new projects are published. Whether you carve, drill, etch, stencil or paint your pumpkin this Halloween, be sure to have fun experimenting with different concepts and techniques — and make it a family affair. Pumpkin carving can be a great way to familiarize kids with basic tools and safety. Of course, there is more to the holiday than pumpkins, so put your DIY skills to use decorating the house and yard with some ghoulish creations — from fake tombstones and gauzy spider webs to sheet-draped ghosts. Or, maybe just a scarecrow! October is Fire Safety Month, so this is the perfect time to make sure your home — and family — are safe. New homes are now required to be constructed with an interconnected alarm system but with Kidde’s radio-connected alarm, owners of homes built before 1993 can enjoy the same safety benefits. And, smoke detectors are essential. Regardless of whether they are hardwired, interconnected or battery-powered, you should have smoke detectors on every level of your home, particularly in the kitchen, hallways near bedrooms and basement. Purchasing a fire extinguisher is one of the best investments a homeowner can make. Should you ever need to use it, just remember the acronym PASS: Pull the pin to release the handle, aim the extinguisher at the base of the fire, squeeze the trigger, and sweep the discharge stream at the base of the fire. For more, consider these nine ways to boost your fire preparedness.